An assist is credited to the player tossing the last pass leading directly to a field goal, but only if the player scoring the goal responds by demonstrating an immediate reaction toward the basket. An inbound pass can be an assist if it leads directly to a field goal. By rule, no more than one assist can be credited for each field goal. 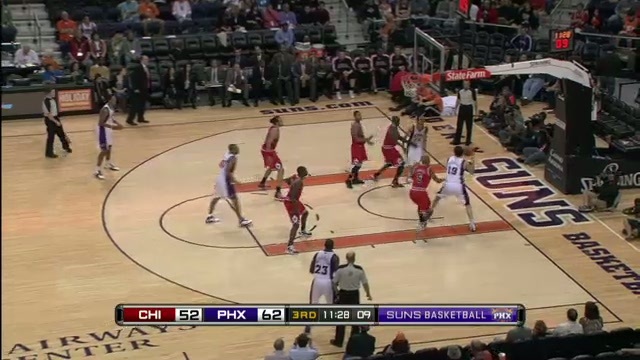 On this play, the scoring player who receives the ball under the basket and he immediately scores on a reverse lay-up. An assist is credited since the pass led the scorer to an immediate field goal.